Owens Corning™ Hip & Ridge Shingles: Help prevent the ridge vent and add an attractive, finished look to a roof’s hips and ridges. Owens Corning™ Starter Shingle: The first step in the proper installation of shingles. 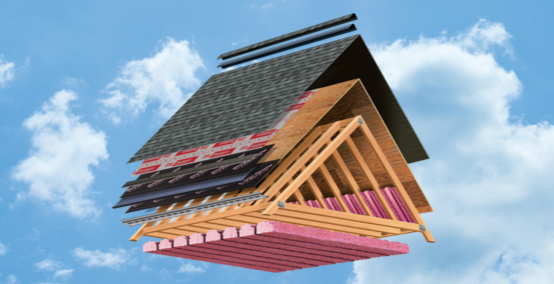 Owens Corning™ “Deck Defense” Underlayment: Add an extra layer of protection between the shingles and the roof deck to help prevent damage from wind-driven rain. Blown-in cellulose is thinner than fiberglass insulation and it fills the space easily, surrounding pipes and other objects. Made from 75 percent recycled materials and is treated with chemicals to make it less flammable, If there is a fire, it can slow the fire down and actually create a fire wall. When it does burn, it does not emit toxic chemicals. Help guard vulnerable areas where water can do the most damage to the roof: eaves, valleys, dormers, and skylights. A concrete tile roof will help increase your home’s value. Available styles and colors enhance any home resulting in curb appeal that is not available with other roofing materials. Eagle’s selection of styles and colors is unmatched by any other concrete tile manufacturer. This variety allows homeowners, architects, roofers and builders the ability to find just the right shape and blend for a given architecture. Our products are made to emulate wood shake, clay and slate—but are much more affordable alternatives. Our colors have been designed by professionals with a keen sense of aesthetics and who understand trends in exterior finishes. Whether you’re looking for vibrant blends or more naturalistic hues, Eagle has a product to meet your needs. Through rain, snow, high wind and hail, a Cool Roof tile roof can withstand the elements providing years of worry-free performance. All Eagle roof tile is Class A fire rated. All Eagle standard weight color thru tile passes Freeze-Thaw requirements. Eagle roof tile exceeds current seismic load requirements when properly fastened. Eagle roof tile can resist damage from hail stones up to 2″ based on testing to FM4473. Warranty must be registered. Please call 800-400-3245 with warranty questions. Eagle roof tile can help to lower energy costs by reducing heat transfer through air circulation under the tile and through concrete’s inherent insulating properties. Are you ready to have your roof do more than just beautify your home it protects? Now you can create a superior roof by incorporating Eagle’s Cool Roofing products and accessories. 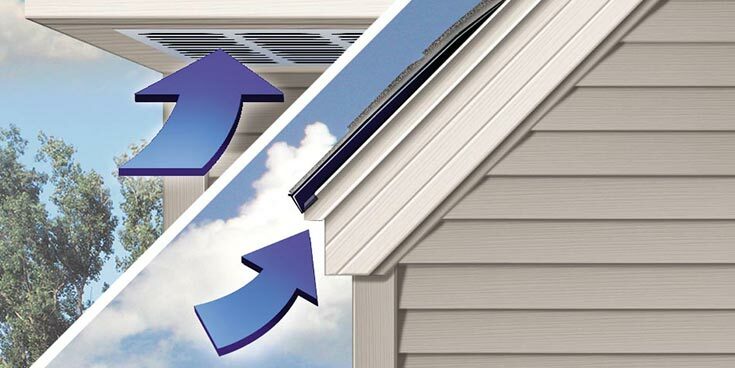 These can be used together or separately to increase the performance, longevity and efficiency of your new roof. Cool Roof Systems have been approved as highly reflective by the Cool Roof Rating Council (CRRC). These products can not only help you meet local building code requirements, they also provide superior benefits for homeowners and the environment. Spending less money by lowering energy usage, also Eagle Cool Roof Systems are also kind to the environment. They help to reduce heat islands, reduce the dissemination of smog producing chemicals and reduce the production of CO2. Possible roof tile rebates through your utility company. Please consult your local utility to determine which products and applications qualify for a rebate.